On 4 November 2015, the President of Friedrich-Alexander-Universität Erlangen-Nürnberg (FAU), Prof. Dr. Joachim Hornegger, invited guests to celebrate the 272nd anniversary of the University’s foundation at the Audimax (Bismarckstr. 1). In his speech, the President presented the highlights of the past year and the latest developments at FAU. The Renate Wittern Sterzel Prize, habilitation prizes and honorary senator titles were also awarded on this occasion. The title of FAU Ambassador was awarded for the first time. In his opening speech, the President informed FAU’s academic community, its friends and supporters and the general public about the successful achievements of the past twelve months. ‘For the first time in its 272-year history, FAU has over 40,000 students,’ said Prof. Hornegger. He added that the resulting challenge would be to maintain FAU’s high standards in teaching and research in the context of the project for quality improvement in teaching, QuiS, and the ongoing system accreditation, for instance. He stated that new teaching and studying concepts are also part of the innovation process and stressed that the aim of research-orientated teaching was to promote students’ problem-solving skills and creativity. ‘World-class research requires world-class teaching,’ he said, emphasising the significance of viable partnerships with large companies, small and medium-sized businesses, authorities, leading German and international universities and other open-minded collaboration partners. In 2014, FAU received 180 million euros in third-party funding. According to the President, this strength was also reflected in numerous rankings acknowledging the University’s international visibility and outstanding reputation: Place 11 in the national DFG Funding Atlas, right behind the top 10 universities in Germany, place 123 in the international THE Ranking and place 52 in the Reuters Top 100 World’s Most Innovative Universities ranking. ‘FAU is well-positioned,’ Prof. Hornegger summarised. He praised its outstanding culture of innovation and its excellent integration in the Erlangen-Fürth-Nuremberg region, which is strengthened by the 107 spin-off companies founded since 2000 and the 414 invention disclosures and 199 patent applications registered between 2012 and 2014. According to the President, FAU is shaping its unique profile by combining regional strengths with academic skills from various different disciplines. He stressed that fresh approaches to research are significant for the future. The traditional message from the Bavarian state government was delivered by the Bavarian Minister of the Interior, Building and Transport, Joachim Hermann, in the form of an interview with the host of the event, Amrei Noä. The students’ speech was delivered by Ingwer Andersen, student representative in the Senate. In his lecture entitled „Die UN-Debatte über ‘traditionelle Werte’: Anschlag auf den Geltungsanspruch der Menschenrechte?“, Prof. Dr. Heiner Bielefeldt focussed on the UN debate about traditional values and the scope of application of human rights. Bielefeldt is head of the Chair of Human Rights and Human Rights Policy established at FAU in 2009 and has been UN Special Rapporteur on Freedom of Religion and Belief since August 2010. He has written books and papers on topics such as legal philosophy, the history of ideas, political ethics and, in particular, theoretical and practical aspects of human rights. The event was hosted by FAU alumna Amrei Noä, while FAU’s Jazz-Rock-Pop Choir led by Ulrich Nehls provided musical entertainment. The official programme was followed by a reception in the Palmeria at Universitätsklinikum Erlangen. Assessor Dipl.-Volksw. Thomas A.H. Schöck, former Chancellor of FAU, and Heide and Horst Feldmeier, founders of the Dr. Jutta Feldmeier Foundation, received the University’s most prestigious award and were appointed honorary senators. With this award, FAU would like to show its gratitude for their long-term commitment and support. By acquiring Röthelheim Campus for the University, introducing efficient commercial software at the University and Universitätsklinikum Erlangen and by purchasing the first intraoperative MRI scanner for the Department of Neurosurgery, for example, Thomas Schöck made decisive contributions to FAU’s development. As a member of the Executive Board, he was responsible for the budget, buildings and non-academic staff and was at the centre of many developments: the Bologna process, cost-saving measures, the optimisation concept for Bavarian universities (bayerisches Optimierungskonzept), the reform of FAU’s organisational structure, tuition fees, the double intake of school leavers, development planning, new buildings and restoration of old buildings, expanding the University locations Nuremberg, Erlangen, Fürth and Pleinfeld (water sports centre), the Max Planck and Helmholtz Institutes, the Excellence Initiative, the administrative reform, cost and performance accounting, new IT developments, patent exploitations for FAU, and collaborations with industry and the entire region. The education scientists Heide and Horst Feldmeier have been active supporters of FAU for many years and contributed their professional skills to the education of FAU students. In memory of their deceased daughter, who was an FAU alumna, they set up the Dr. Jutta Feldmeier Foundation. Their scholarships aim to make it easier for students to study abroad. German and international students receive funding to spend a semester abroad, travel or participate in international research events. Heide and Horst Feldmeier are personally involved in selecting the scholarship holders and have supported nearly 100 students so far. The title of FAU Ambassador was awarded for the first time. Over the next few years, it will be given to a number of international guest researchers. Ambassadors represent FAU’s interests in their home country and pass on the experience gathered at FAU in their own spheres of research. 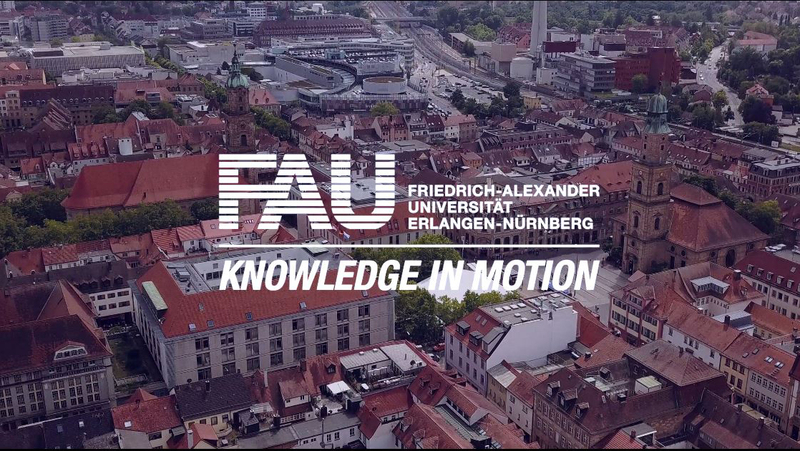 Ambassadors can give advice to students and researchers who are interested in a stay at FAU and can establish and maintain links between the universities of their home country and FAU. Prof. Dr. Enrique Zuazua is a leading figure in the area of applied mathematics and is professor of applied mathematics at Universidad Autónoma de Madrid. In the context of a Humboldt Research Award he worked at FAU in the academic year 2014/2015. His research at FAU was focused on the optimal control of partial differential equations. He also held seminars and workshops and acted as a guest lecturer. He developed close ties with FAU and was delighted to accept the title of Ambassador. Prof. Dr. Peter Bubmann and the Centre for Teacher Education (ZfL) headed by PD Dr. Birgit Hoyer were awarded the Renate Wittern Sterzel Prize for the promotion of equality and diversity at FAU for their outstanding commitment to promoting diversity in FAU’s research and organisational culture. Prof. Dr. Bubmann promoted equality in his professorship in an exemplary and successful manner. ZfL is particularly committed to promoting gender and diversity awareness in the context of teacher training.